Benidorm is one of the most famous holiday cities on the Costa Blanca. Its beaches and natural landscapes, its cuisine and the city’s atmosphere make it the perfect destination for a fabulous holiday. However, there are a large number of picturesque cities and towns in the surrounding area that you simply must visit. It’s worth checking these out if you wish to better understand Spanish culture and the coast. This post details the best excursions you can enjoy from Benidorm to complete your stay. Don’t miss out! The town of Guadalest is one of the most picturesque settlements near Benidorm and it provides an essential excursion destination for people visiting Benidorm. Its rustic architecture based on rocks, its castle and its old fortress are some of this town’s most famous aspects. 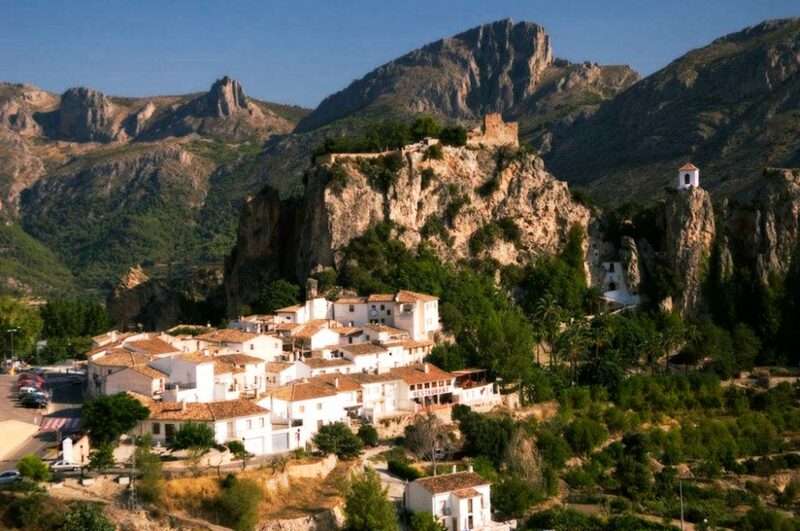 If you would like to visit Guadalest from Benidorm, you can opt to take the bus or choose a pre-arranged excursion. In approximately half an hour you’ll be enjoying this special place. 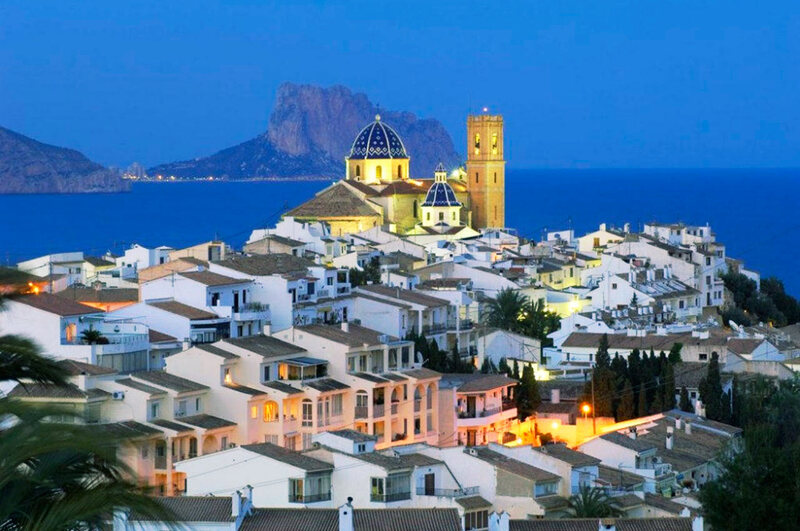 Another place you simply must visit when visiting Benidorm is Altea. This town is located very close to Benidorm and it offers a combination of extremely special natural and cultural resources. Its historic centre is delightful. You can also enjoy its rocky beaches with their clear waters, wander the pretty streets of its old quarter and visit its church with its recognisable blue cupolas. To visit Altea from Benidorm, we recommend using the Benidorm-Altea tram line as the journey only takes 11 minutes. The city of Alicante is one of the most popular choices for a day out among travellers staying in Benidorm. Alicante, as the capital of the province, has all the essential services you could need in a city. 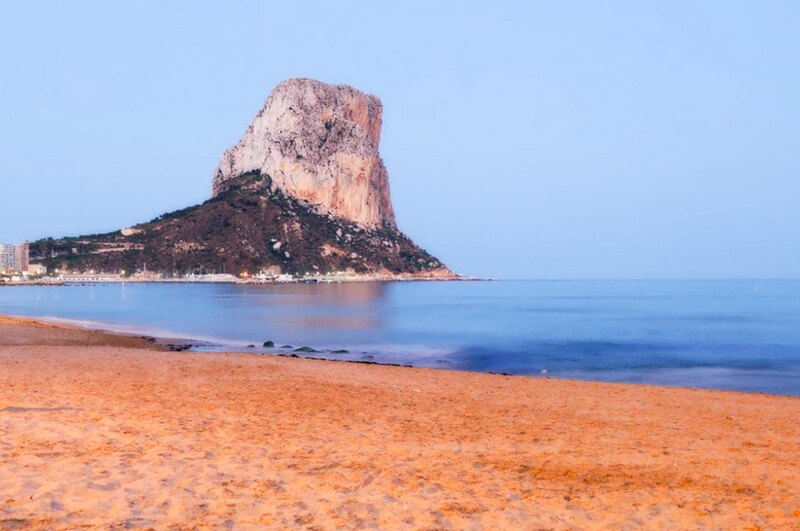 Furthermore, Alicante has a large number of beaches as well as natural and cultural resources you can explore, including Santa Barbara Castle. To enjoy an excursion to Alicante from Benidorm, you can take line 1 (L1) on the tram and you’ll be in Alicante in approximately 76 minutes. You could also take the bus, which takes around an hour to reach Alicante. 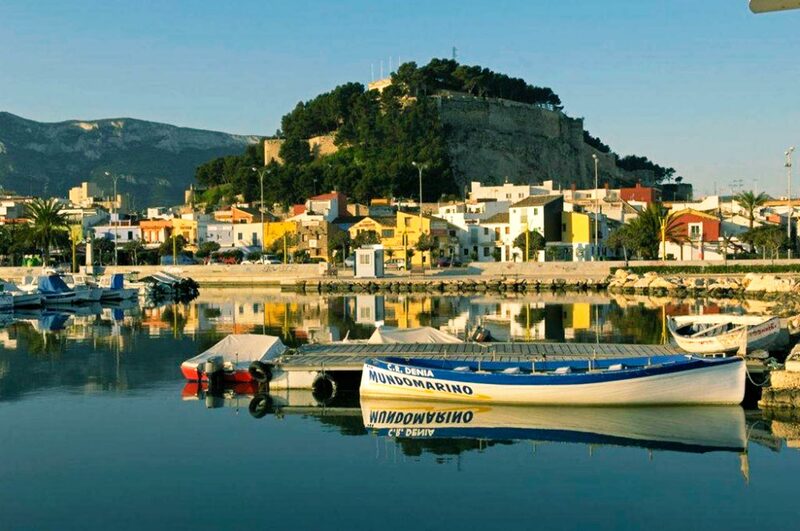 Another popular excursion is to Calp, which is only 25 kilometres from Benidorm. This is a special place due to its unique crags and picturesque town setting, in addition to the chance to enjoy enchanting beaches. To reach Calp, there is a tram line, with the journey taking little more than 40 minutes. You can also travel there by bus, which takes roughly 45 minutes. Valencia is one of Spain’s largest and most famous cities. It is known for its Falles celebration, which is held in February and which involves a large number of natural, cultural and culinary resources. Places such as the Oceanogràfic and the City of Arts and Sciences are must-visit spots. You can take the bus to this city, which will take around 2 hours. Dénia is a comprehensive, cosmopolitan city with a wide range of services and tourist resources. Its beaches and natural parks are extremely famous and it offers a plethora of museums. You can travel to Dénia by tram or bus. When you visit this city, make sure you head to its lovely port and castle, and make sure you try some of its prawns! All of these excursion destinations are very close to Benidorm and you can easily reach them by hiring a car or using public transport. Whichever you choose, you won’t regret your visit!